Trump National provides complimentary valet service for every guest, whether you are joining us for a round of golf or a quiet dinner. We also provide valet service for all weddings and special functions in our Grand Ballroom. Our monthly calendar has all events and special functions for the upcoming year. Don't miss out on your amazing wine dinners, brunches or Daily specials. The Trump Room is available for parties and corporate events of 20 to 100 people. It is the most elegant room in the facility, with 14 carat gold trim, and a panoramic view of the Pacific Ocean. It is perfect for small celebrations, and offers privacy and elegance to any occasion! Café Pacific at Trump National Golf Club is the premiere dining destination in Los Angeles. Located on the bluffs of Rancho Palos Verdes, we provide world-class California Cuisine complemented by stunning views of the Pacific Ocean. Offering “the finest dining in Los Angeles” according to The American Academy of Hospitality Sciences, our seasonal menus offer such variety as fresh seafood, wood-fired steaks, and fragrant pasta and vegetable dishes. And finally, to complete your culinary experience, our Sommelier has compiled the finest wine list in Southern California and our Pastry Chef provides the perfect, delectable final touch. 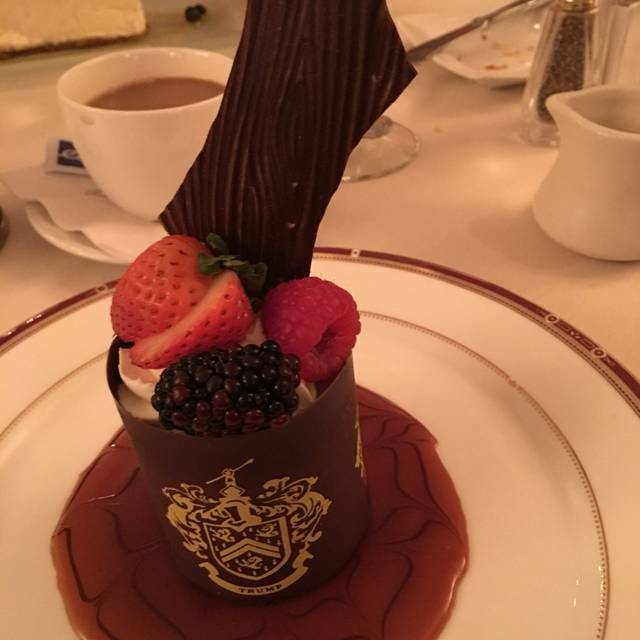 Come enjoy the cuisine, service, casual elegance, and ambiance that have cemented the Trump brand as the foremost luxury experience in the world. From A beautiful view of the Blue Pacific, marvelous Martinis, genuine comfort and hospitality you can not go wrong. 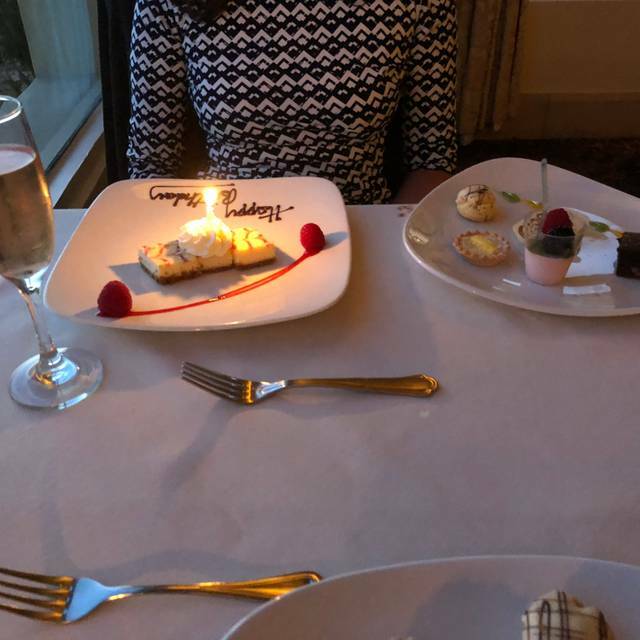 We celebrated my birthday with our granddaughter and thoroughly enjoyed our time at Trump Cafe Pacific. 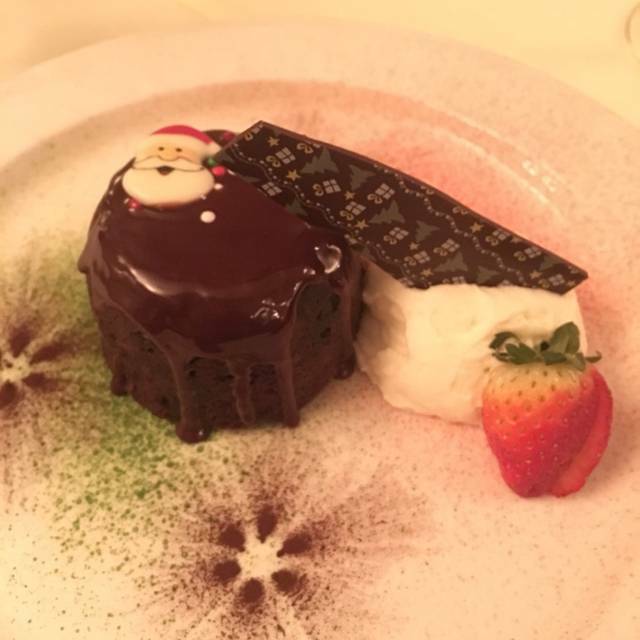 Our selection from the menu consisted of Sea Bass, New York Steak and Creme Brulte for dessert. Definitely will return for another memorable evening. Outstanding ocean view! Great food and service. While we were having lunch, three military choppers landed on the public park behind the clubhouse. they didn't seem to bother the rabbits on the lawn. Excellent! The setting, the food, and the service were all the best. Amazing. Beautiful setting, wonderful and attentive staff, great food. Thank you to Danny the manager for making sure everything was taken care of and ran smoothly. Could not have asked for a better location to have my birthday party. Service has slipped over last few months. New menu and staff mean a lower level of service. Split a Caesar and got zero anchovy’s. Wine service definite down check without the long time sommelier. Mains good but I struggle to justify a $55 Filet with what was on my plate. They are missing both a great server (aka Craig) and a real sommelier. Need to up both the service and the food to justify the price. Favorite brunch! Beautiful view, food and selection is beyond excellent. Service is very attentive, especially for a buffet. ANTHONY and RICARDO, along with the rest of the wait staff, are the absolute BEST! I love this place. I have a thing for consistency. I hate finding a restaurant with all the goods only to return and be disappointed. Cafe Pacific has ocean views, great service and delicious food for a fair price. Best of all it is consistent. Outstanding Brunch, an All time Favorite!!! The venue was perfect, an ocean view restaurant in amazing weather Los Angeles. The food was delicious. The service was extraordinary. We would definitely come back! Excellent service, delicious seafood, great atmosphere! Live music. A guitarist playing classics it is a nice touch. Outstanding Service, Food and Drinks. The atmosphere was classic and fun. From the entry to all of the employees encountered a professional atmosphere. We would reccomend to anyone and if we visit this part of the country again we will definately part take in a meal. Lovely room and excellent dinner. I was sent an email that stated our $400 dinner would not receive 100 points from OpenTable. What? Why? Second time here. Food and view was great. Calendar said there would be musicians as there was the previous time there. However, there were no musicians. Swordfish was a little bland but other parts of meal were tasty. Were given dessert pastries on the house. The new chef does an outstanding job. The porterhouse steak was perfectly cooked. The service was outstanding as usual which makes any celebration special. The atmosphere, view and service were wonderful. The food was disappointing. We usually have a great dinner and great service st Cafe Pacific. Unfortunately not this time. Our waitress was tending to two big tables and was very inattentive. Thank goodness the wonderful sommelier stepped in to help. New menu is also nice change. Shrimp cocktail and wedge salad were great to start with, but unfortunately our filets were tough. The deconstructed Apple pie was just weird. Had a fantastic dinner but it is on the expensive side. Very good service location and food. Wonderful from start to finish. The only complaint was the lobster pot pie tasted grainy. 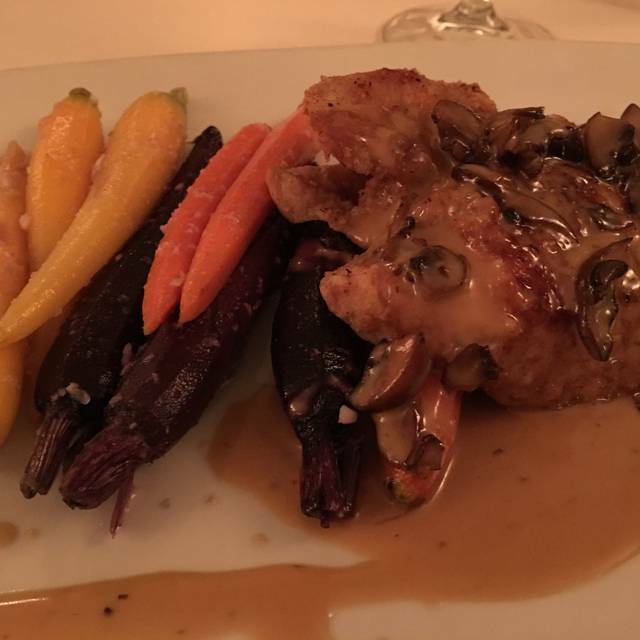 We had the Thursday night prefix 4-course dinner with wine pairing for $68. The wines were very well chosen to match each course. It was a beautiful drive there, watching the sunset as we dined. Good food +good wine + excellent service = a wonderful dinner date for my husband & I. The food was delicious, the service was excellent and oh! what a beautiful view!! Why would you go anywhere else? Have never ever been disappointed for the several dinners & numerous Sunday brunches that my wife & I have enjoyed with friends & guests we Brin from out of town. The meal was terrific. There was only one other table with customers while we were there. Don't understand why. The food and service is always spot on. This is becoming my "go to" place. Best place on the hill. The service was awesome. Both the head server and our server were great. Got a half bottle of Trump Chardonnay that was bad. They brought us a whole bottle and apologized immediately. The food was good, salmon was fresh and perfectly cooked. 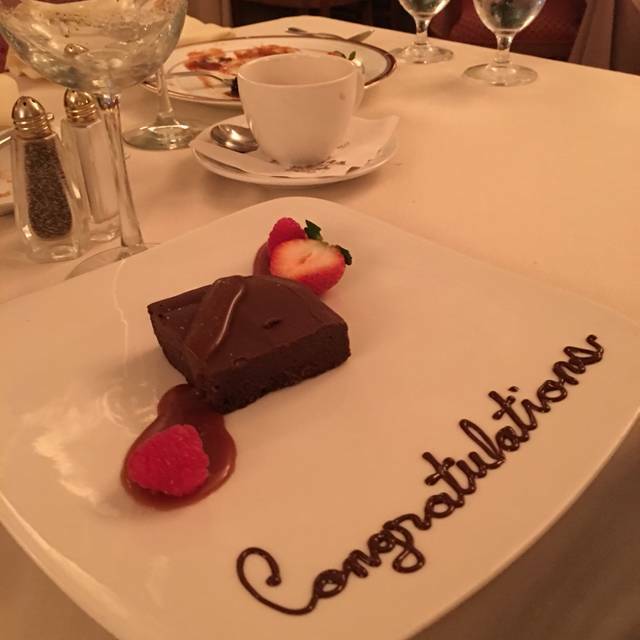 It was our 50th anniversary and they brought us a nice dessert. The only thing I think was too bad, because it really was a lovely evening, was the table for 2 was way too small. Had asked for a window seat but did not give us one, was for four or more. On the whole it was a success for our anniversary. So beautiful and wonderful to enjoy the beautiful view! Wine dinner - service was great - wines were good - basic - not real special - food was average - previous French chef was much better. Beautiful evening and location, but very quiet for dinner. Chef will have to take it up a notch for me to come back. Amazing view, food, and service. Worth a drive for any special occasion. Always a great experience. Dined here many times. Food well prepared, beautifully presented. Excellent experience all around. In addition, the French fries on my order were burned and inedible. Luckily, Santiago's manager, Corinne, comped our meal. But, I have to wonder, is this "bait and switch" tactic a usual practice? Were the staff just playing good-waiter, bad-waiter roles? I should mention that both me and my GF voted for Trump, so this is not an anti-Trump review. As usual, the food and service were excellent. I'm on the Atkins Diet, so there were plenty of protein items to choose from at the buffet. We sat on the patio and enjoyed a great view.